Many years back when I was taking a stroll around the Happy Valley Tea Estate in Darjeeling along with a factory worker, I came to learn that Darjeeling tea is not only about just its types, but also its flavors and different grades. The type only means the variety of tea like the traditional black tea which is most popular worldwide. Green tea has many health benefits and white tea is the most delicate and meant for the real connoisseurs. All such teas (black, green or white) are produced from tea plants known as Camellia Sinensis. However the flavor of Darjeeling tea depends on the season when it is harvested in the gardens. Often the flavor of Darjeeling tea is related with its real quality, and therefore connoisseurs of tea pay huge premiums to buy Darjeeling tea for a specific season. And such distinct tea harvesting season is known as flush, for example the Spring and Summer flush). Darjeeling tea is usually harvested between March and November when the tea bushes pass through such seasons or flushes. And within each type and flavor of Darjeeling tea, the grade depends on the size of the tea leaves which becomes the third factor to determine the final price of the tea sold. This is the most common and traditional form of Darjeeling tea that has been known for years and produced almost by all the gardens in Darjeeling. Black tea goes through all the stages of orthodox processing (i.e. withering or machine drying, rolling, fermenting, sorting etc.). Darjeeling black tea unlike other types is 100% oxidized. It is fully dried up and then carefully split up in order to absorb more oxygen. As the name suggests, the tea liquor is darkish in color and can have a range of flavors including fruity, nutty, flowery and spicy. This is similar to the traditional Chinese tea and technically comes in between the black tea and the green tea. Originally in 1800s when the British for the first time tried to cultivate tea in Darjeeling hills, they brought in seeds and saplings from China to do so. Some gardens that have retained the old China bushes (Chesima) continue to produce Darjeeling Oolong. The tea is hard withered and semi oxidized. Basically two types of Oolong teas are produced in Darjeeling - Clonal and China type. Oolongs are needed to be grown in higher altitude in cool environment. The grades of Oolong depend on the amount of oxidation done. Like green tea, following withering the Oolong is also steamed to stop further oxidation. The first flush (spring) liquor is light orange in color and not much popular. The liquor of second flush (summer flush) is darker orange with green infusion and muscatel flavor & fruity aroma, and is in high demand worldwide. It is best to keep the water below boiling point while making a cup of Oolong tea. Due to its great health benefits, green tea has now become very popular worldwide. It has strong anti-oxidants that can kill cancer cells very effectively. It is also very effective for keeping healthy heart and controlling LDL cholesterol levels. Darjeeling green tea is dried and steamed but not fermented, and as a result many of the natural beneficial chemicals are retained. The liquor is usually light green in color. It is usually not mixed with milk. While preparing Darjeeling green tea, keep the water below the boiling point and keep a watch on the infusion. It can otherwise become quite bitter. While Japan is a the leader in green tea production and its quality, Darjeeling offers the most value for money green tea. This is the most delicate type of Darjeeling tea and commands the highest price. It is hand picked from the lot after tea is plucked from the gardens, dried in sun and hand rolled. There are no other steps followed in white tea processing. The tea leaves keep their original organic form retaining all the minerals and natural ingredients. The liquor is pale golden in color and has a hint of natural sweetness. White tea is usually quite light in weight and therefore while making tea you will need to add more quantity of leaves than the other varieties. Also keep the water below the boiling point. 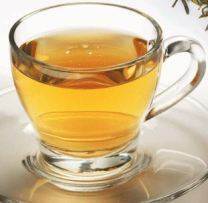 White tea is these days quite popular in United States due to their great health benefits. White tea has least caffeine content and therefore can be easily consumed by those who have high blood pressures or high blood sugar level. Some brands of Darjeeling White Tea has exceeded the price line of Rs. 50,000/- per kg. March to November is the tea plucking and production time in Darjeeling. Winter months are dormant period and there is no tea production during this time. Darjeeling tea of the same type can come in different flavors depending on the season when it is grown and plucked. This is one of the main driving factors of the price tag of Darjeeling tea. There is a romantic name for First Flush Darjeeling Tea - Lover's Blush. After the winter months, new shoots come up during the spring. The leaves are light green in color during this time. And the liquor is light & clear and has a mild astringency. The infusion is lime greenish. 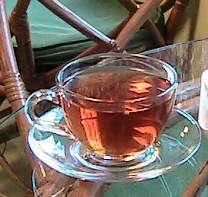 First flush Darjeeling tea usually has the highest demand and price tag. The months of May and June are the time for Summer flush which is the main flavor in demand. The leaves are bigger, turn darker and the buds silvery. 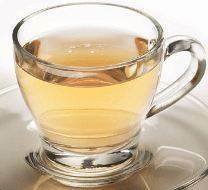 This is the tea that provides the pronounced signature muscatel flavor with more colors in the liquor. The color of the infusion becomes purplish. Monsoon tea are produced during the rainy season between July and September. The liquor is dark in color and relatively stronger. The tea is relatively more oxidized and sold at a lower rate. Such teas are popularly used for many varieties of blended teas. These teas are usually sold at a rate much lower than the others and sometimes even below the cost of production. This is the autumn production that takes place during October and November. The tea leaves are usually of light coppery/brownish colors and the flavor is distinctly different from the other seasons. The liquor color is on the darker side. The infusion is coppery gold. SFTGFOP: Super Fine Tippy Golden Flowery Orange Pekoe. These are whole leaf tea and of highest grade. They can have many tips. The liquors are usually light in color. FTGBOP: Fine Tippy Golden Broken Orange Pekoe. Broken leaves but still of high quality. D: Dust. These are Darjeeling tea dust and lowest in price. There is another dimension of Darjeeling tea which is fast taking it a step ahead - Organic farming. Organic teas can be black, green, white, oolong etc, but are distinguished by the method they are grown and cultivated. Darjeeling organic tea bushes are grown in natural condition maintaining complete ecological balance in the land area and without using any chemical fertilizers or pesticides. The tea thus produced are healthy and free of any synthetic chemicals. Darjeeling organic teas are usually harvested according to lunar cycles (i.e. following moon's orbit) and therefore fully matured. They have distinctive green textures and sharp taste. There are several gardens in Darjeeling that are now fully organic including Makaibari Tea Estate. Also known as Bio-dynamic or Voodoo farming, the process of Organic Farming in Darjeeling tries to strike a complete ecological balance between the soil, the atmosphere, tea bushes, the plantations & forests around, animals and the people who live on the gardens. And all this is done by preserving the tradition and culture of Darjeeling. This is perhaps the reason why Darjeeling tea remains unbeatable in the world and non-replicable.